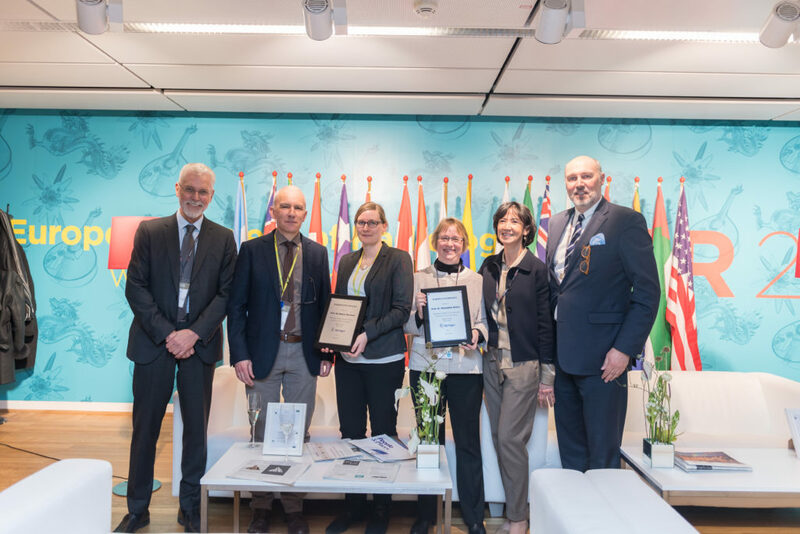 During ECR 2018, the European Society of Radiology thanked the outgoing Editor-in-Chief of European Radiology Prof. Maximilian Reiser and the outgoing Editor-in-Chief of Insights into Imaging Prof. Robert Hermans for their immense contributions to today’s success of the journals. Prof. Reiser served as Editor in Chief of European Radiology since 2014 until past December 2017, when he passed on this office to Prof. Yves Menu. During a cocktail reception in familiar atmosphere, the society represented by Prof. Paul M. Parizel, Chair of the ESR Board of Directors, as well as representatives from the publisher Springer, found warm words about the outgoing Editor’s-in-Chief dedication, hard work, and achievements. Both awardees received traditional stylographs and a plaque.